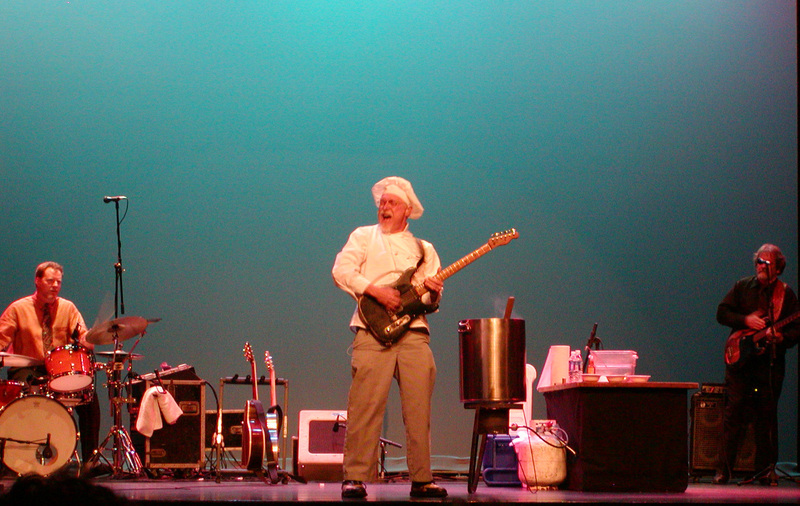 We are the Traveling Gumbo Show and we are coming to your town! This fall we are bookin down the road. Labor Day is a sold out show in Oklahoma, then Pittsburgh, Fredonia, NY, Charlotte, NC, Tampa and Sebring, Fla. And some where in there, we will be doing the coolest of the cool. On Saturday, September 27, we are playing the Brooklyn Botanic Garden Chile Fest along side of an American treasure. Pete Seeger will headline the date and we will be playing right before him. This is a dream come true for me. 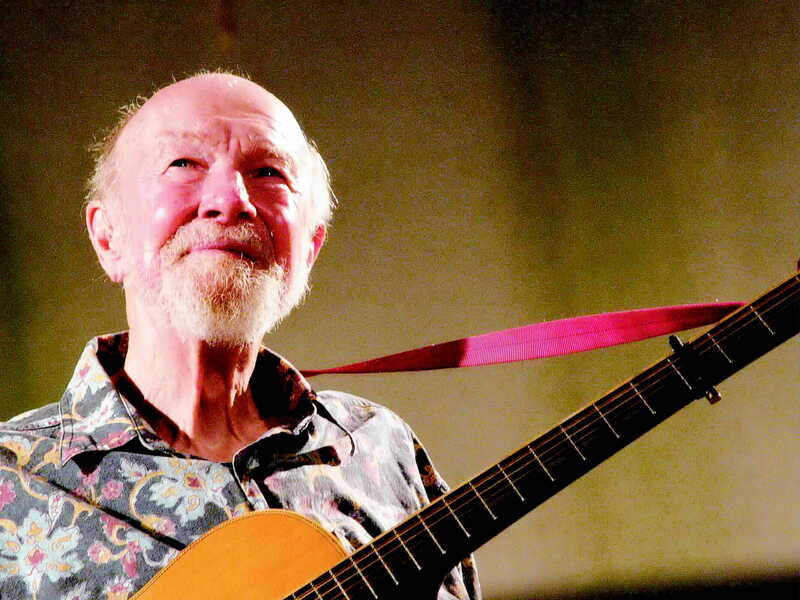 A champion for individual rights, Pete Seeger stood up to the McCarthy witch hunt of the 1950s and survived to become a voice for the laborers of America. His songs, “We Shall Overcome”, and “Where Have All the Flowers Gone” were anthems for the civil rights and peace movements of the 60s. He is credited with single handedly starting a movement to clean up the polluted Hudson River. AND…if that ain’t enough, he’s a heck of a banjo picker, and in my book, he was one of the most incredible singers I’ve heard. When I saw him twenty years ago, he blew me away with just his voice. It was one of the best concerts I ever witnessed. Out of all the shows I have seen in the last fifty years, three of them stand out as the absolute best. Jimi Hendrix, Charles Mingus, and Pete Seeger. This will be a show to remember. I had a few leftover steamed potatoes and about half a winter squash, so I mashed em up for thickening the broth. Here’s how I did it. So it’s the middle of the winter, and Rochester is covered with snow and slush, and it’s cold and wet, and you haven’t gotten enough sunshine, and your endocrine system is wacked out, and your blood sugar is out of control, and you’ve had about enough of this crazyness, and..and…and. Wait a minute. Take a deep breath. Relax, Mon. Get healthy. Get right with a laid back head space. Right across from the Kodak offices is a funky little breakfast/lunch restaurant and health food store with three or four tables an a very large smile. Take a load off and chill out with a Caribbean attitude at the Health Garden where vegan and Ital meet oxtails, jerk chicken, and beef patties. 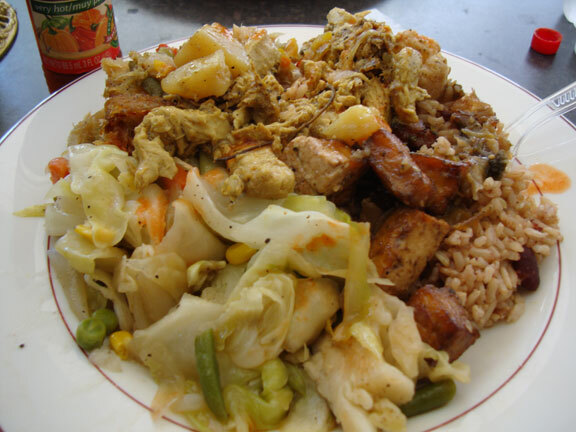 Vegan curries and BBQ share the menu with real chicken, fish and beef entrees. When you walk in the door, it’s obvious that the owner, Miko, cooks with love of food and people. When I arrived at four pm after a slammed lunch time rush, the veggies were still succulent and fresh to the taste. 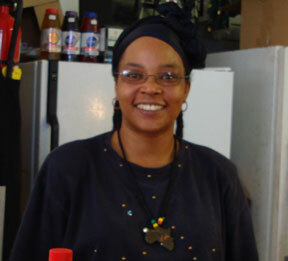 She has a great feel for herbs and spices, making everything savory as well as comforting. With a juice bar, healthy shakes, bulk herbs, catering, and healthy beauty products, in addition to the restaurant, this café is jammed full of goodness. In a word, sustenance. 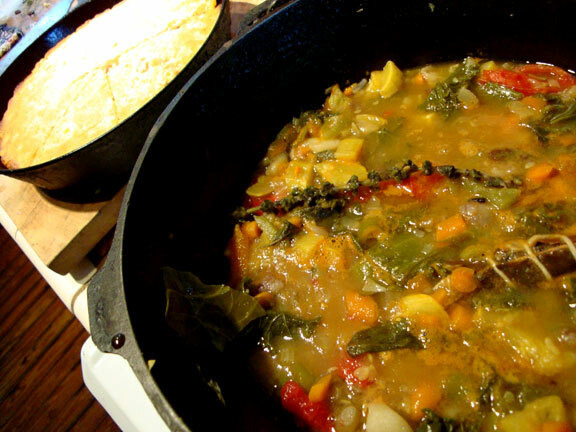 When’s the last time YOU had callaloo?